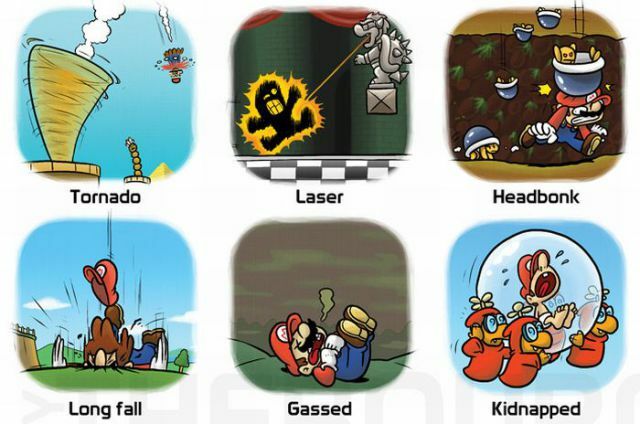 Every character from a video game has more then one way to die. 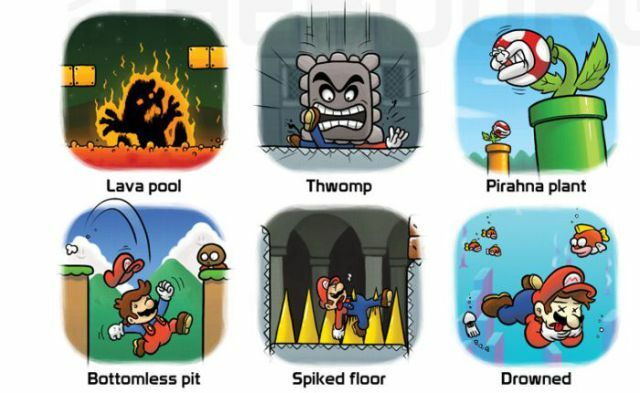 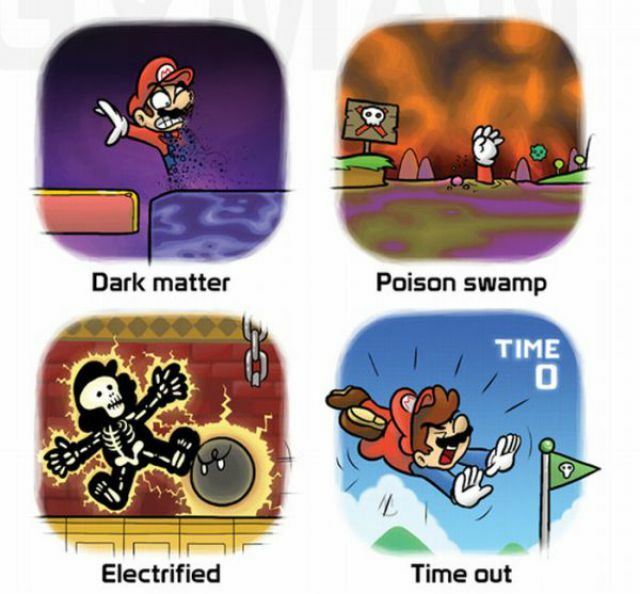 Today we’ll see Mario’s 45 ways to pass away. 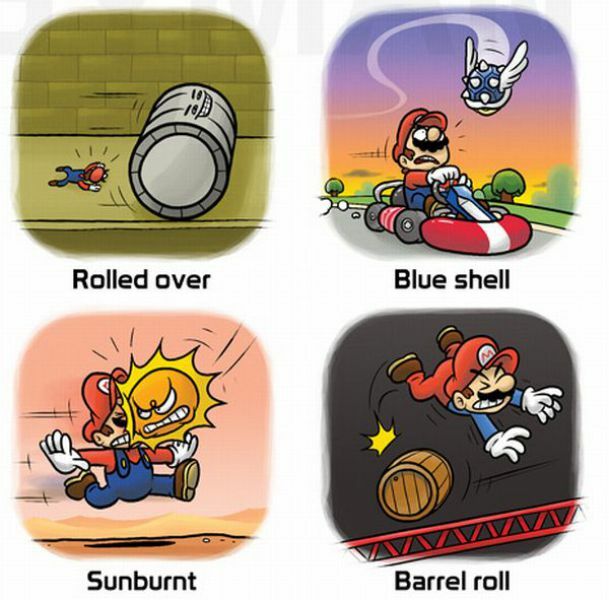 Just check TheBourgyman on DeviantArt, you'll see it on his gallery. 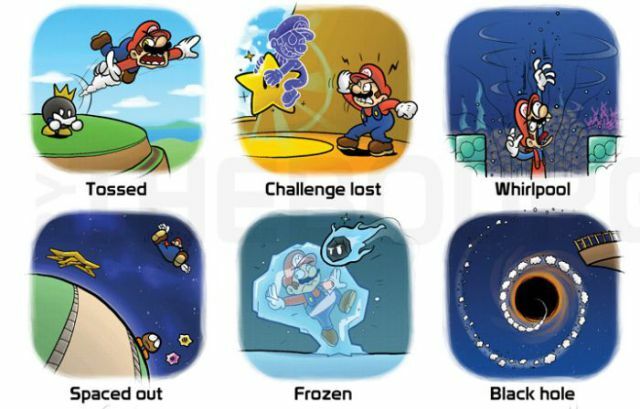 This picture was done by TheBourgyman. 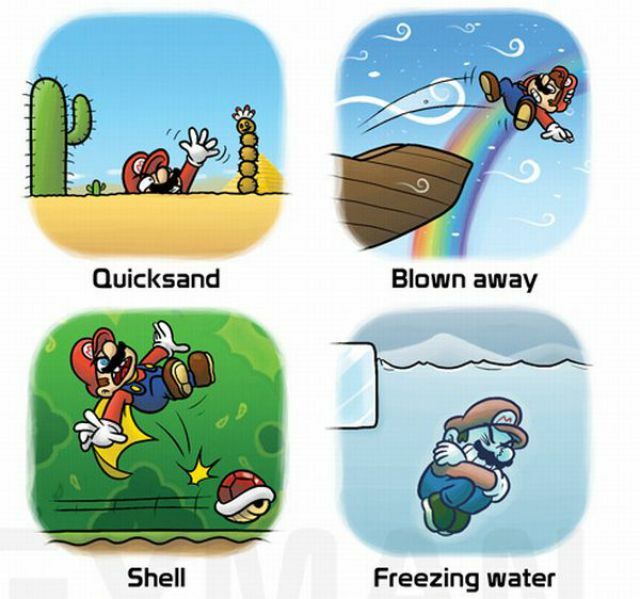 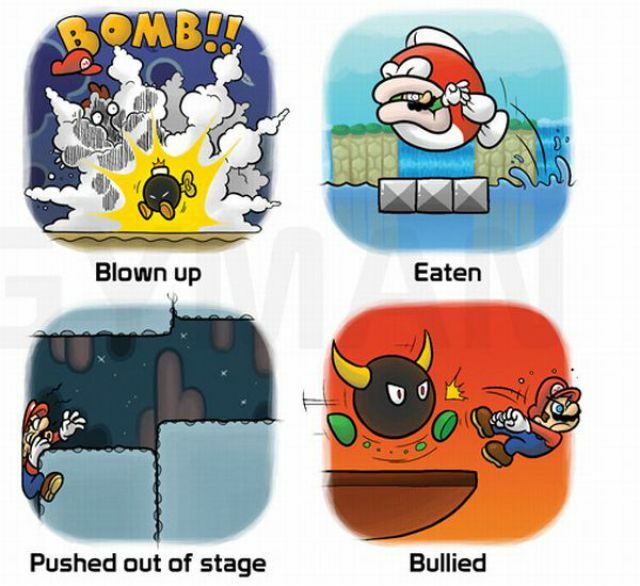 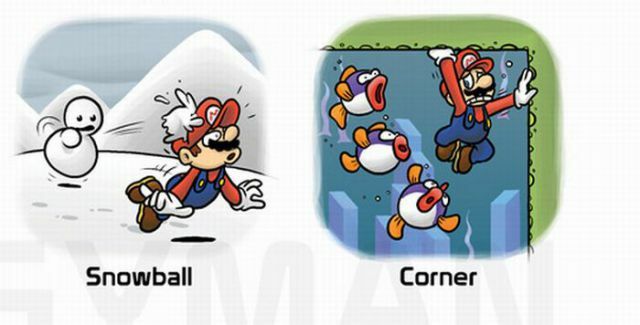 Good ol' Mario. 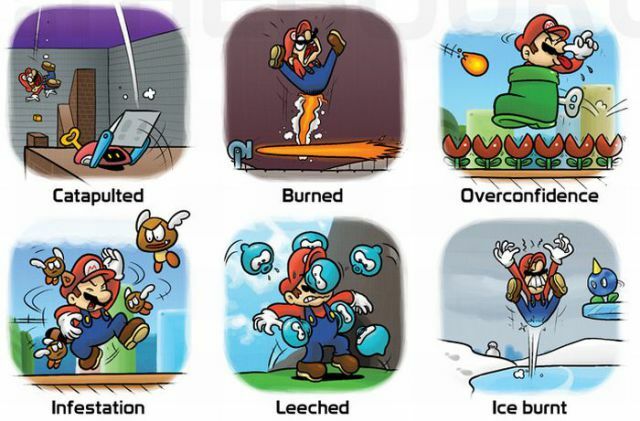 He had a rough road.